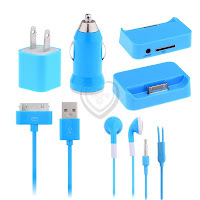 5-piece iPhone/iPod Power Pack only $11.90 w/ Free Shipping! Head over to Plum District to score a 5-piece Apple Power Pack for iPhone or iPod plus FREE shipping for only $11.90! To get this price, you'll need to use the code 30FORJULY.